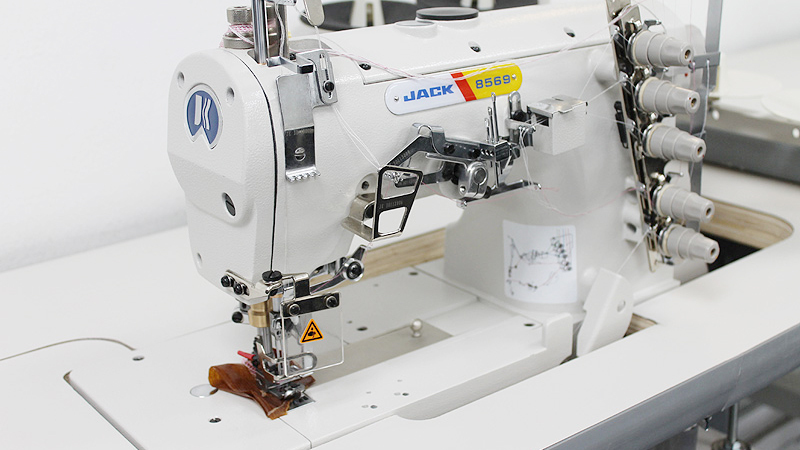 The JACK JK-8569 is a flat bed 3-Needle Top and Bottom cover stitch sewing machine ideal for general seaming of sportswear, swimwear, t-shirts and other knit fabrics. The machine is capable of sewing both top and bottom coverstitch, or you can remove one of the needles for two lines on top and coverstitch on bottom only. Equiped with a DIRECT DRIVE motor, it achieves excellent and balanced stitching even at high speeds and offers a very smooth operation.